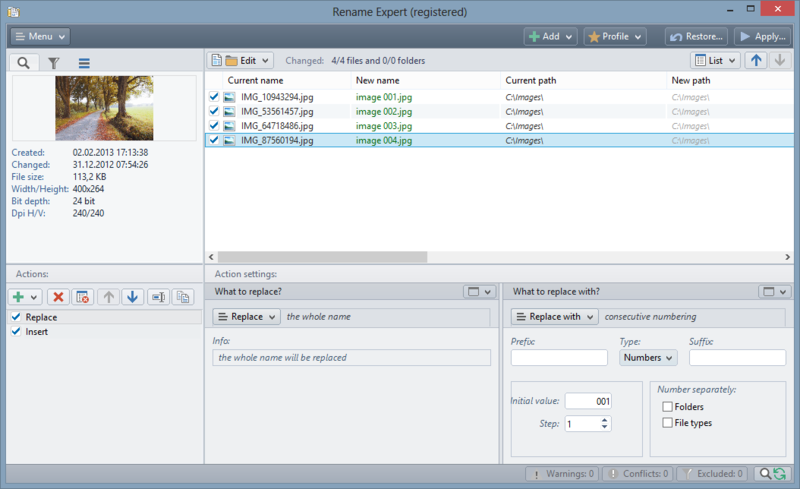 The main window of Rename Expert is clearly divided. In the lower area you can adjust the settings for the file names and in the top area you see in real time the effects of each setting. It is possible to move files into subfolders, which are generated automatically by individually definable criteria. 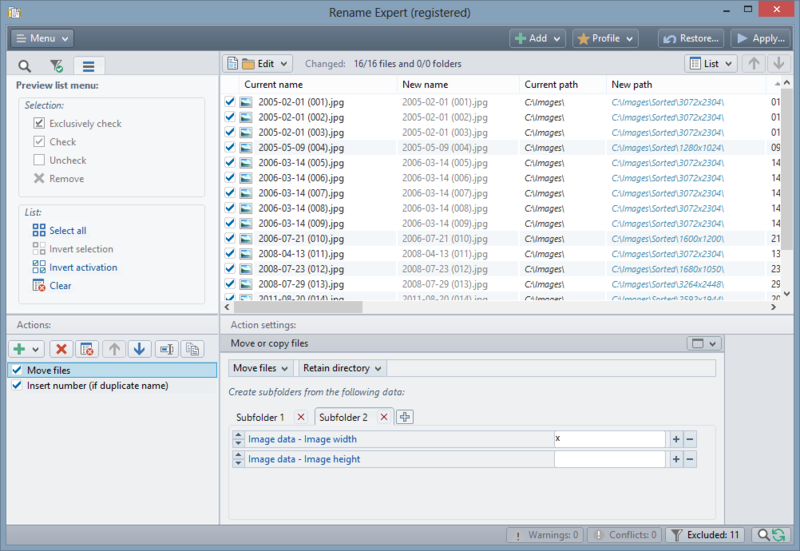 You can use metadata (such as ID3 tag, Exif, IPTC) or file properties and much more. 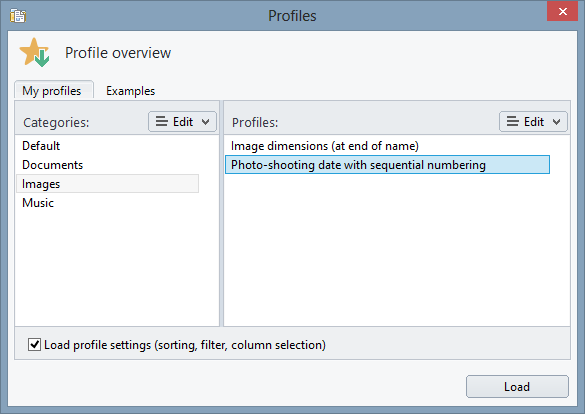 The added actions and settings can be saved for reuse as profiles. There are templates included for many standard actions, such as the creation of web-safe names. 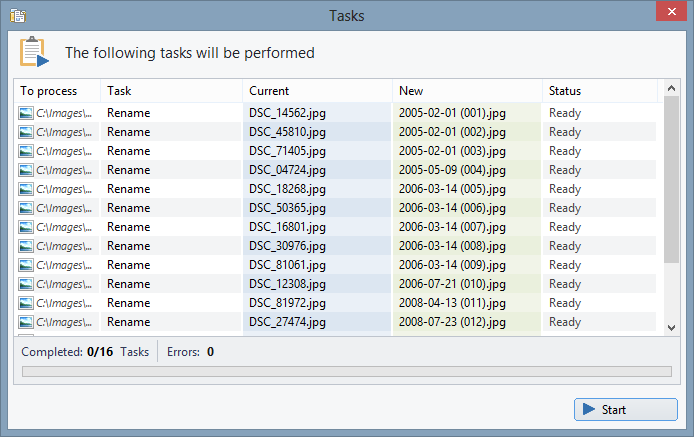 The files and folders to be renamed are listed in the tasks dialog and can be checked once more before renaming or moving.